It is that time of the year again. Halloween is just around the corner, and we’re starting a new, horror-inspired Photo Mode Contest to get you in the spirit! We are looking for proof of spooky goings-on in Hope County, captured by our sharpest Far Cry 5 photographers! From October 22nd to 29th, you can send us your most spook-tastic photos to help us uncover Far Cry 5’s hidden horrors. We’re widening the scope this time: you can send us screenshots taken in Far Cry Arcade if you so wish! Whatever you decide, the goal remains the same – give us a fright! The photos must be Halloween-themed: monsters, ghosts, zombies, trick-or-treating – you know the drill! 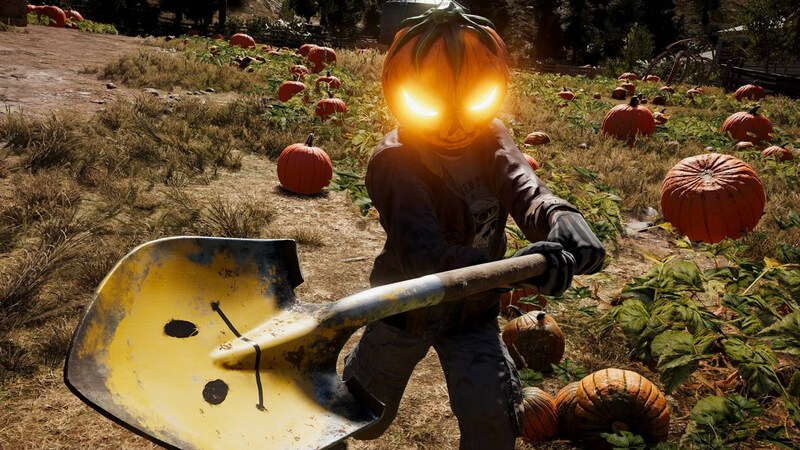 You must post your entry either using the hashtag #FC5Halloween (on Twitter, Facebook or Instagram) or as a comment underneath the contest announcement post. The winners will be chosen by the Far Cry Community Team. Photos will be judged based on originality, style and relevance to the theme of the competition. Getting the perfect shot is simple! When the time is right, access the Photo Mode from the menu after pausing the game. From there, you can adjust the position of the camera and make further changes to the captured moment such as time of day, field of view, image filter and many more. For more information on Far Cry 5’s Photo Mode, consult our FAQ. Good luck to everyone – now go out there and give us chills with your most chilling shots!